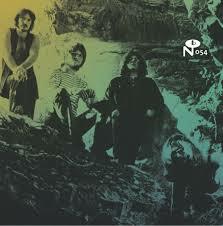 Measured against other historical rock archives devoted to unearthing hidden gems from the fertile period of psychedelic exploration in the late ’60s and early ’70s, Numero Group’s Local Customs: Cavern Sound is no Nuggets in terms of being truly indispensible, but then few such compilations are. It is, however, easily the equal of, say, the Pebbles series; that is, these groovy period ditties may not be treasures you’ll wonder how you ever lived without, but they do make for a pleasant and trippy soundtrack, delivered with the Chicago label’s usual loving care toward presentation, annotation, and audio quality. Tune in, turn it up, and dig deep, and thanks again, Numero.